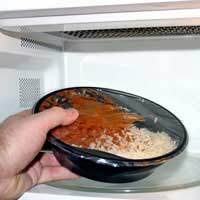 Ready meals are one type of fast food that's often demonised by nutritional experts and television chefs across the board, and people tend to associate the ready meal culture with mothers not being bothered to cook for their children, or lazy people who can’t and won’t switch the oven on. But why are they considered to be so awful, and do they actually have any redeeming features at all? What Is A Ready Meal? Ready meals are usually either chilled or frozen, although you can even go as far to buy a ready meal in a tin, or an ‘ambient’ meal which has been vacuum packed and will last probably longer than you could bear to think about in the kitchen cupboard. When Clarence Birdseye discovered that freezing fish kept it perfectly fresh, and developed the first frozen meal back in 1939, he probably wouldn’t have ever thought that his humble discovery would have been to source of so much debate. The first frozen ethnic style dishes such as curry, lasagne, and chilli hit the market in the seventies, and since then, the ready meal has become a staple of the British diet, with thousands of variations on a theme now available to tempt the taste buds. As tastes developed and expectations rose, the fast food ready meal market had to keep up with ever changing fashions for food. Although some manufacturers gave a nod to nutrition too, with companies jumping on the diet ready meal bandwagon, the accusations levelled at ready meals include high fat and salt levels, and too many additives. What Is The Problem With Ready Meals? The main thing that lets the ready meal down is that you have no control over what’s gone into the meal, or how it’s prepared. You could level the same accusation at a takeaway meal and other fast food, of course, but the chances are that a freshly prepared curry, for example, will have fresh ingredients and probably less additives and chemicals than a ready meal you pick up from the supermarket. Some ready meals can be very high in salt, containing up to half the recommended daily amount of salt in just one portion. Don’t automatically assume that just because a ready meal is labelled as ‘healthy’ that it’s also going to be low in salt, because according to a Food Standards Authority survey, even the healthier options can be as high. Another issue is the additives that are found in many ready meals. There are more likely to be additives in chilled or ambient ready meals than frozen meals, and some brands proudly boast that their meals are additive free, which is great news. But the list of chemical ingredients on a ready meal box can sound like a chemistry set rather than dinner. These additives will have been tested for safety, but if you don’t like the sound of all those E numbers, you might have to do some digging around before you find a meal that appeals. Ready Meal manufacturers are starting to take note of nutrition and health, and while you can still get the fat and salt laden, chemically altered meals, there are brands that proclaim they are healthy, additive free and even organic. You just have to look for them in the chiller or freezer cabinet. If you want to make a standard ready meal a little more nutritious – bulk it up with fresh ingredients! Add your own vegetables or some rice to the meal. Warming up a pitta bread or cooking some extra rice or vegetables can add nutritional balance to your chosen dinner, as well as making the ready meal that bit more filling and stopping you needing to snack again later!